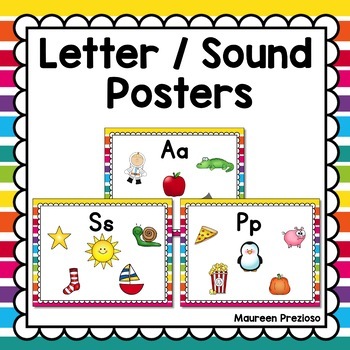 These beginning sound posters feature upper and lowercase letters along with bright colorful beginning sounds pictures. 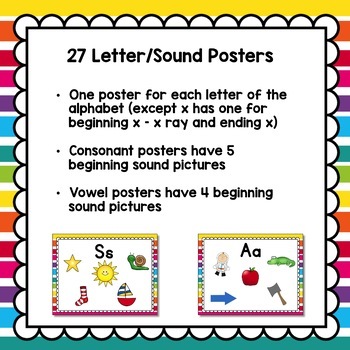 There are 2 posters for the letter X - a beginning sound poster with the picture Xray on it, and a final sound poster with 5 pictures on it. 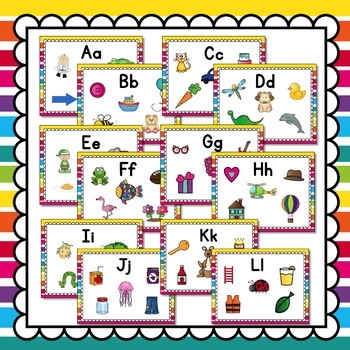 These posters are great for a Kindergarten Reading Street Concept Board! 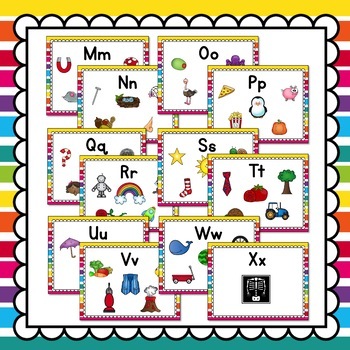 This Resource has just been updated and now includes 2 sets of posters: the original set and an updated version with new fonts, background, and some pictures. I have left the original file in the resource for those who may simply need or want to print one or two posters.